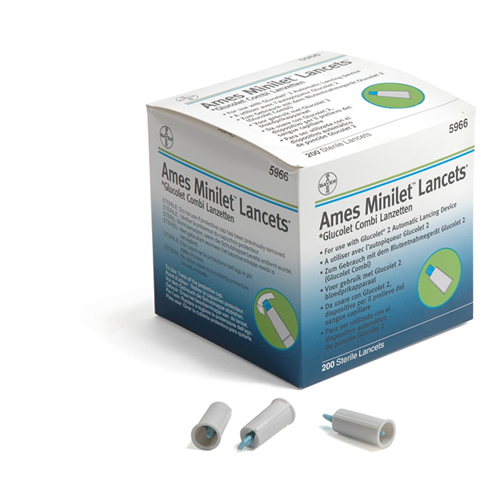 Single-use lancing device for safe and convenient sampling of capillary blood by professionals. The Accu-Chek Safe T Pro Plus Lancet Device is designed with special Safe T Wing tabs that prevent the device from being reused. 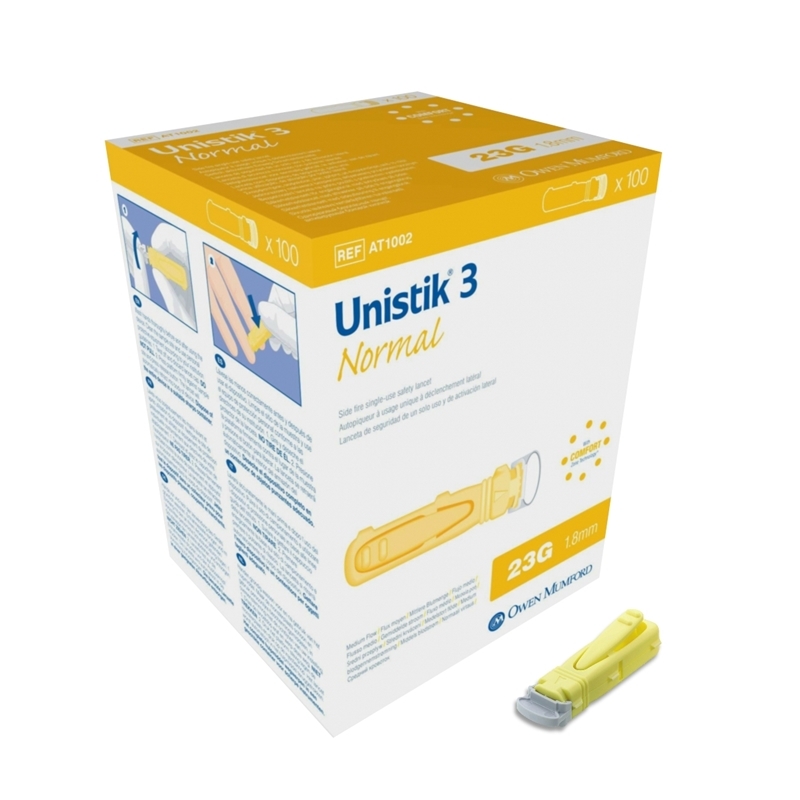 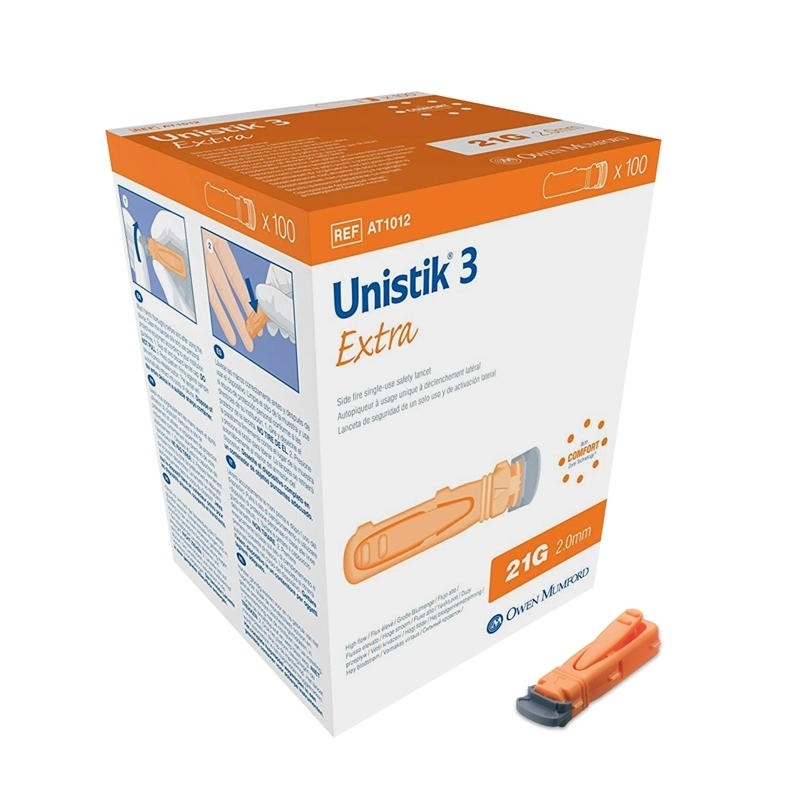 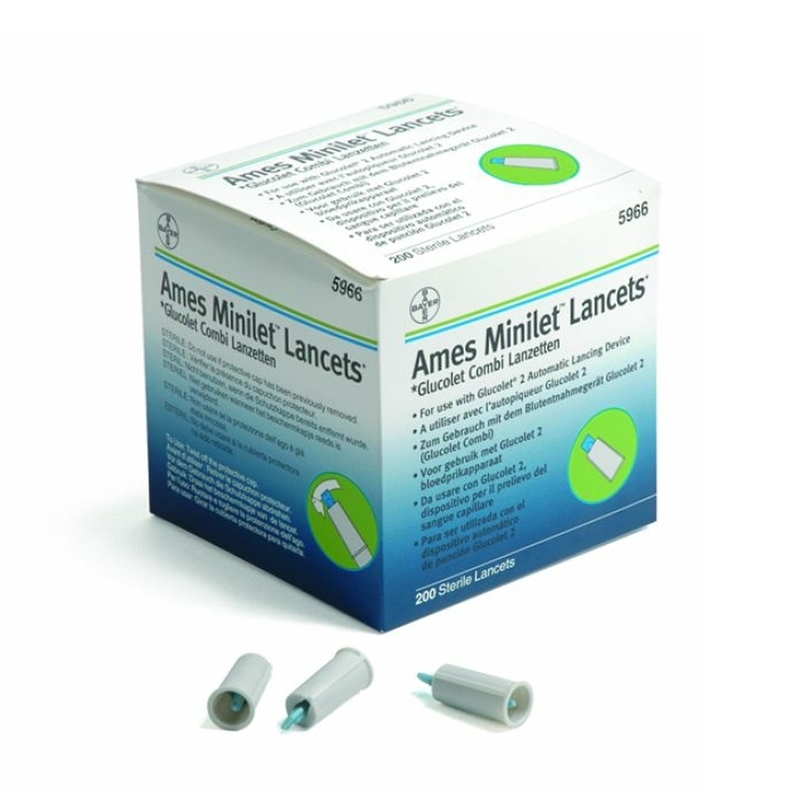 The lancet permanently retracts into it’s protective case after use to prevent accidental fingerpricks during disposal. 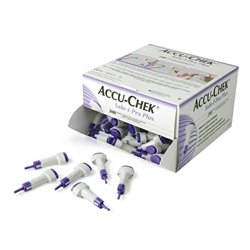 Accu-Chek Safe T Pro Plus Lancet Devices meet 1999 OSHA requirements mandating “safety engineered” needle devices.